Losing a close friend or family member, a child or spouse, is devastating for all of us. But when it happens to a co-worker or employer, it can be difficult to know how to support them. While there are policies in place for grievance leave, what do you do when the affect is felt for weeks or months? Licensed therapist Steve Havertz knows from experience the difference between having a supportive manager, and management that seems to view your struggle as a cost to them. Havertz’s wife died in 2003, but leave constraints meant he had to return to work after just 10 days. Despite the quick turnaround the positive relationship he had with his manager made it easier to manage a return to work. A few years later Havertz’s young daughter was diagnosed with cancer. He worked hard to balance full-time employment with her cancer treatments, but while his direct supervisor was supportive he received emails from the upper management querying why he needed the leave. With further conflict over the next six to 12 months, Havertz ended up leaving the company. The difference wasn’t in how much leave he got, but in how caring his company was. It’s a sentiment echoed by New York clinical psychologist Nerina Garcia-Arcement, who said supporting employees is economically, as well as morally responsible. 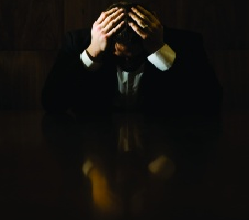 Grieving employees often feel emotionally and cognitively impaired and are less productive. That employee is likely to return to work feeling grateful for the support they received from their employer and "give" back to their employers through increase productivity, Garcia-Arcement added. How should HR handle the death of an employee?